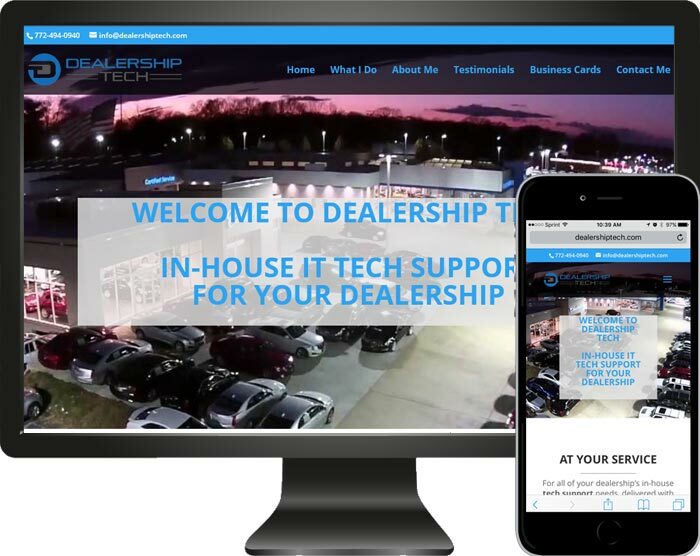 Dealership Tech is a spin-off company of M2. We felt the need to have a web presence for this aspect of our business as well. The website is a one-page responsive site which means it viewable on multiple devices i.e. computer, tablet or mobile phone. The site is broken down into several sections, the top navigation bar links to each section. present throughout the site is a top-of-page button that floats in the lower right-hand side of the page. The page features parallax image effects, a contact form and in the footer there is an Automotive Breaking News RSS news feed.